Apart from their sinfully delicious frappucinos, one of the main reasons we go to Starbucks is to get a slice of their tasty lemon loaf. However, multiple Starbucks trips in a week can get expensive really quickly and we knew we could figure out how to make a copycat recipe, so we threw on our aprons and got cooking. Below, we’ve got the recipe that we think most closely matches Starbucks citrusy loaf…it’s bright and zesty and the icing (our favorite part) ties everything together and has us licking our lips and reaching for another slice. You’ve gotta try this! Preheat oven to 350º F and lightly grease a 9×5-inch loaf dish with butter or non-stick spray. In a large bowl or mixer, beat eggs and sugar together, then add in Greek yogurt and vegetable oil. Whisk in lemon juice and lemon zest. In a medium bowl, toss together flour, baking powder and salt, then add them to the wet ingredients until just incorporated. Don’t over mix. Pour batter into loaf pan and smooth out the top, then place in oven and bake for 50 minutes, or until toothpick inserted in center comes out mostly clean. If necessary, cover loaf with aluminum foil during the last 5-10 minutes to prevent browning. 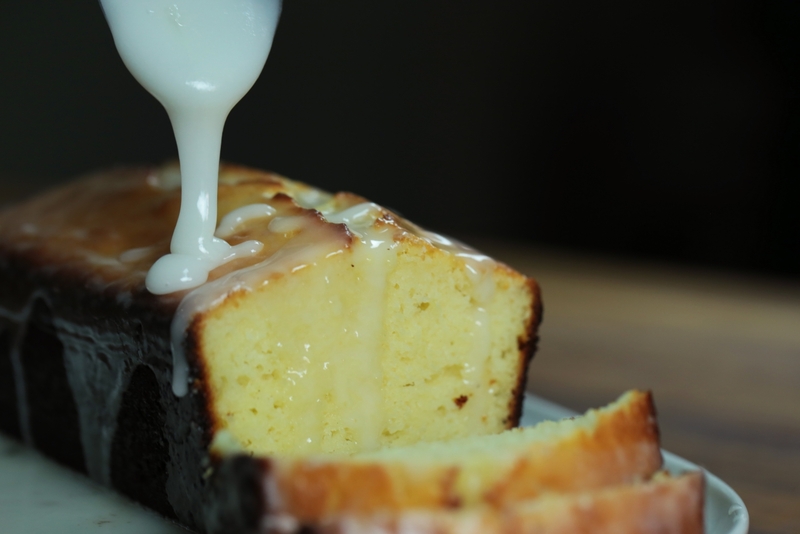 While loaf is baking, whisk together 2 cups powdered sugar and 4 tablespoons lemon juice together to create glaze. Add 1-3 more teaspoons lemon juice to achieve desired thickness. Once loaf has cooled, extract it from baking dish and pour glaze over the top. Let glaze set and serve fresh or store, refrigerated, in an air-tight container.